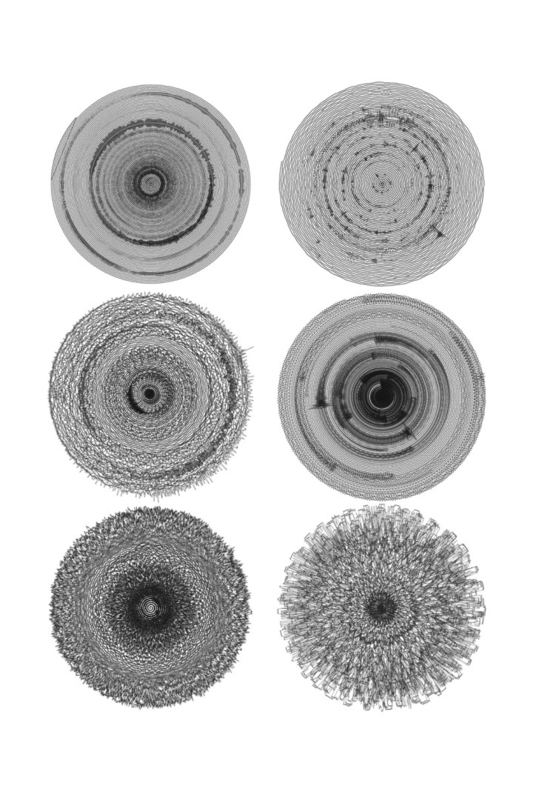 "Tree Rings" explores sound’s organic essence by visualizing it’s time dimension as a spiral series of tree rings, modulated by urban soundscape transcribed to waveforms. This piece highlights the natural harmonic beauty of sound - when used outdoors, the sounds of our renovated urban cityscape can be used to regenerate a relic of the natural landscape that was destroyed so that it could exist. 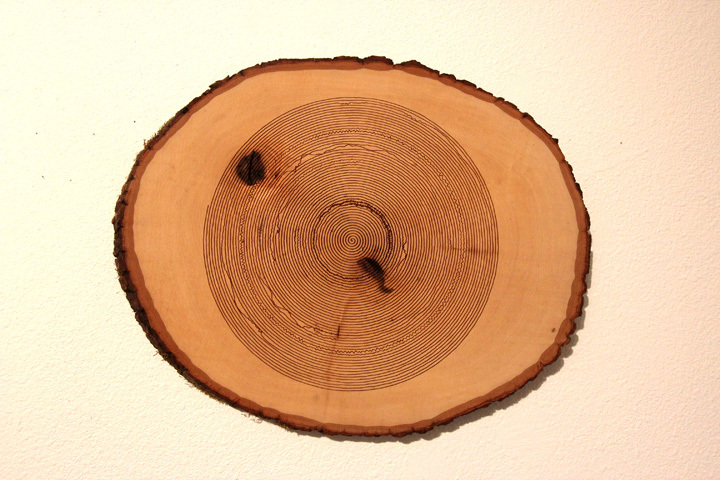 By showing our individual and societal voices and sounds in tree ringform, we stay true to the spirit of the rings, preserving the imagery for a more modern age. 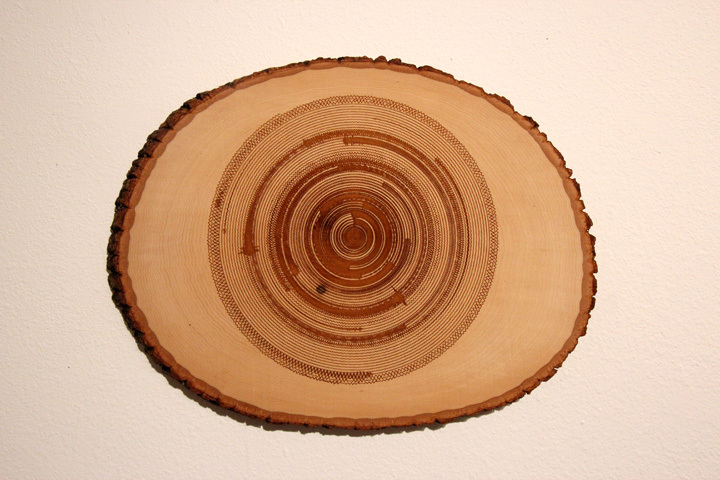 "Tree rings" contain real trees’ narratives - their history, time and space in spiral timeline shapes. Trees provide beauty and inspiration, they help free oxygen to keep us breathing, yet we destroy them for our benefit regularly, using their body parts for housing, cardboard, even for temporary data storage needs. 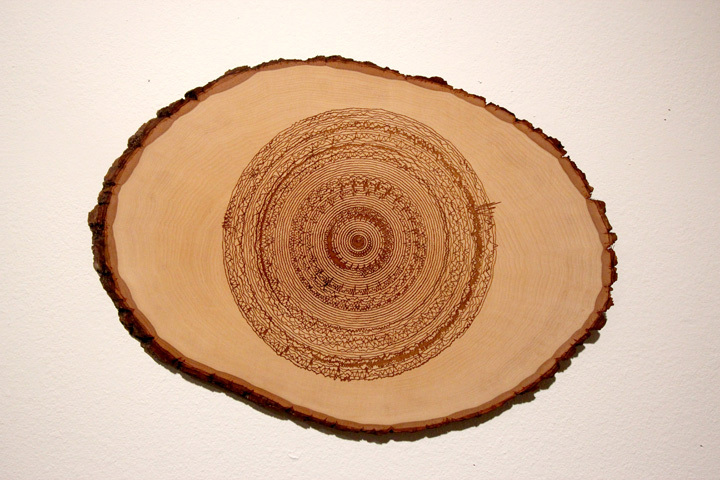 Trees invented the first ‘ring memory,’ many thousands of years before humans discovered electricity. 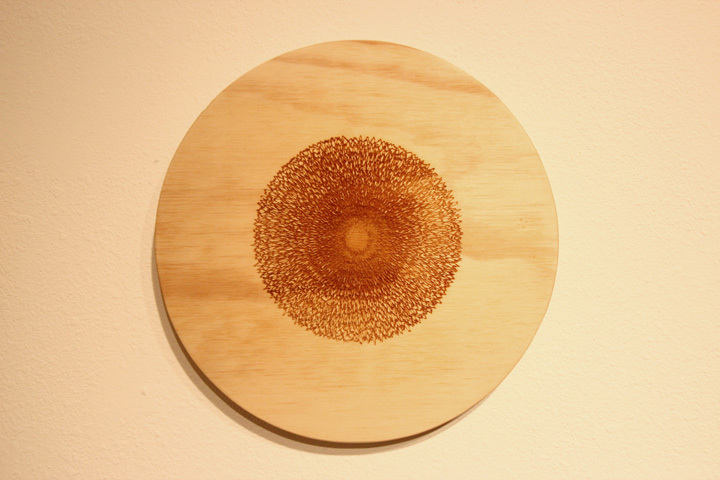 In this exhibition, tree rings are created on circles of unprocessed wood and natural wood slices by using laser cut machine. 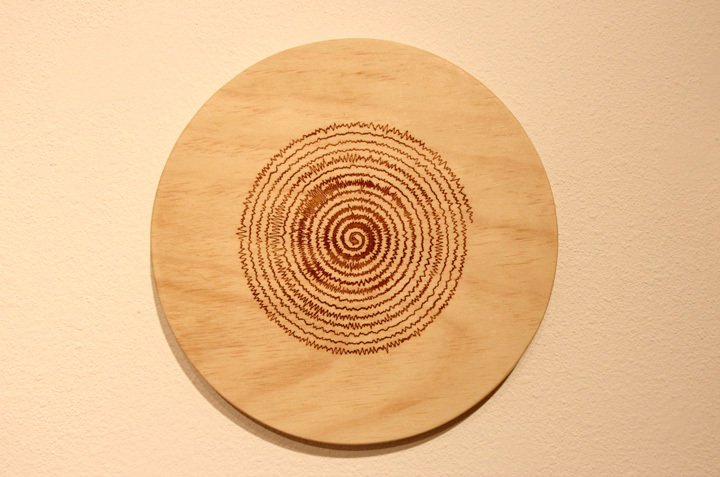 These tree rings designs are generated by recorded sound and the amplitude of sound in every second is arranged from the center of the wood in spiral shape. 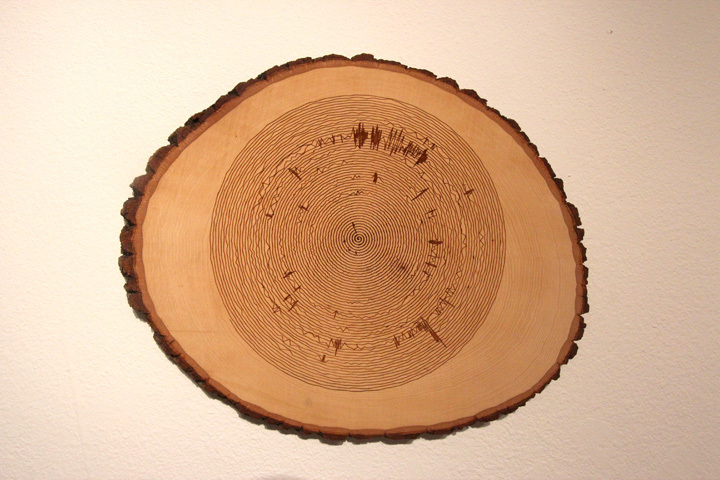 The amplitude (magnitude) of sound determines the strength of waveform lines that varies the design of the tree rings. 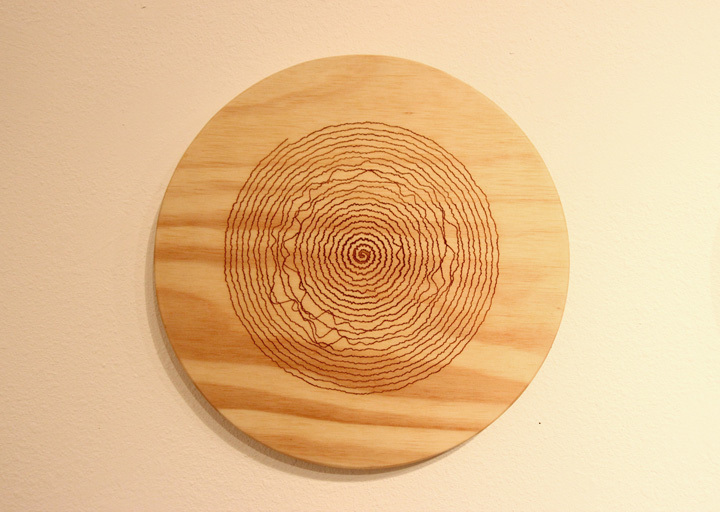 There are three steps in the tree ring designs in process order; First, the fundamental design is printed on papers. 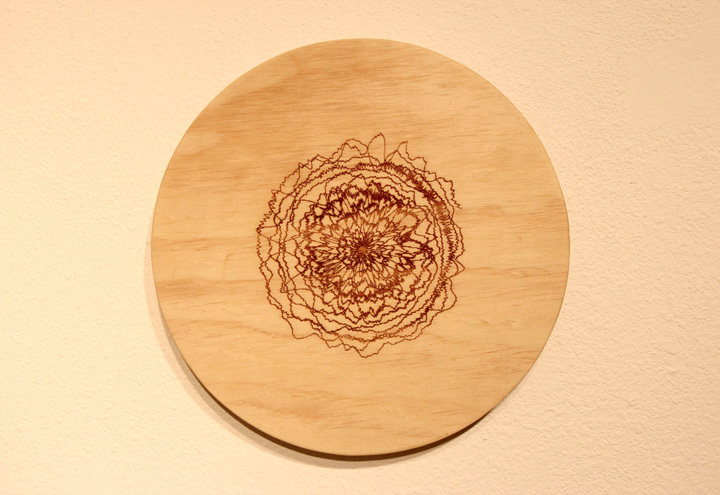 Second, the laser etched design onto birch woods. 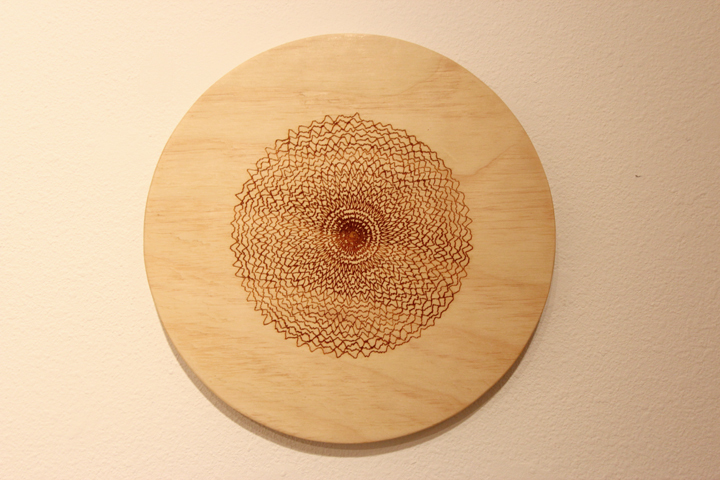 Third, the laser etches again, onto the unprocessed slices of wood. 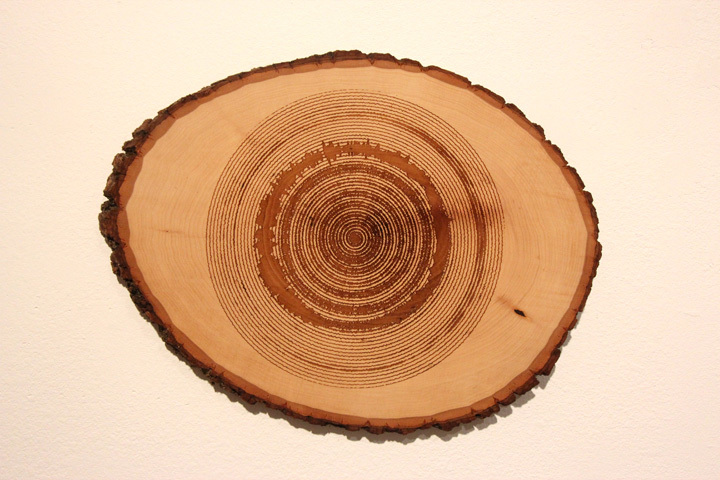 Along with the etched tree rings, an interactive sound installation is exhibited. 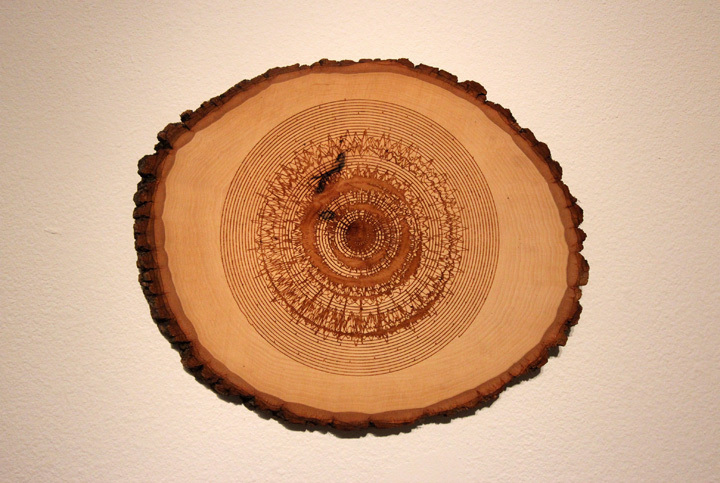 A tree trunk is situated in the gallery, and audience can explore the diverse stories and sounds by moving black marbles on top of tree rings of the tree trunk.